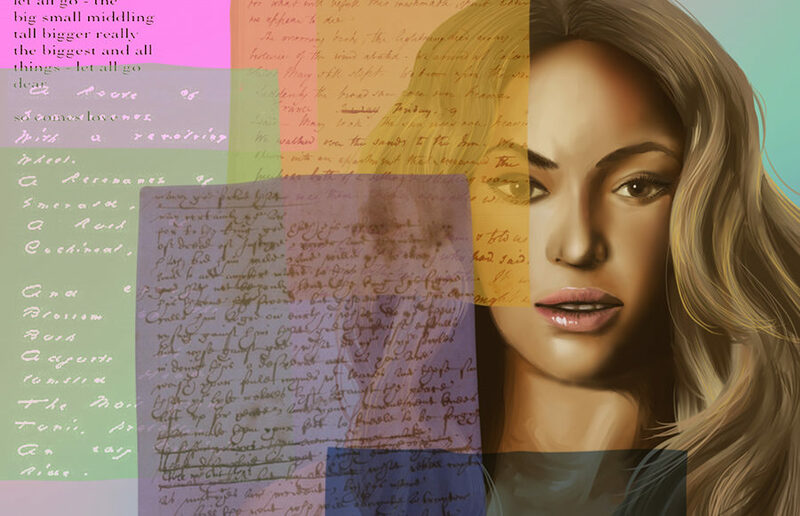 Though many might recognize the poetic qualities in the lyrics of Beyoncé‘s “Drunk in Love,” few would think to include it in an academic setting that also discusses Walt Whitman and John Donne. Campus junior Olivia Wakamoto, however, is involved in research that is blurring the stringent lines often drawn between popular music and poetics — and acknowledging that culture sometimes makes those types of connections as well. The project is part of UC Berkeley’s Undergraduate Research Apprentice Program, or URAP, which requires that she spend a number of hours each week committing herself to the research of pop music and its poetic value. While other students might enjoy Beyoncé’s music on their weekend nights or while reminiscing about her epic performance during the 2013 Super Bowl halftime show, Wakamoto tries to analyze her songs in a poetic context, considering factors such as the the influence of instrumentation, rhythmic patterns and conveyance of personal experience. “On a very surface level, we’re sitting and talking,” Wakamoto said, describing her weekly meetings with other student apprentices and her adviser. “But a lot of it is that we (have done) readings about particular genres of music, particular artists, and particular styles,” which allows the group to discuss the relations between the academic literature they’ve read and the popular songs they bring to each meeting. He and his apprentices are looking at the “various musical and literary cross-pollinations since the Romantic period,” Falci explained in an email — from the nature of the lyrics to the way that the lyrics interact with the instrumentals and even the music videos. The research team has discovered a lot of parallels between this poetic concept and pop music. “If we think about those ideas within the context of a popular song, there are additional dimensions to take into account — a major one being that it is very difficult not to understand the ‘I’ of a Taylor Swift song as referring to Taylor Swift (whether in a biographically-specific way or more generally), especially when we can’t help but to the connect the figure/celebrity/image of Swift to the voice that we are hearing,” Falci explained in an email. According to Wakamoto, the hours spent engaging with other URAP students — often dedicated to deconstructing songs that her peers outside of research are probably busy listening to at house parties — have helped her acquire important experience with formal research and literary study. Her time with URAP involves a team-oriented, socially engaging method of research, while also giving her an interesting topic for small talk whenever she decides to go to a house party. Ultimately, though, the goal is to gain real-world research experience. “I would like to pursue a PhD in English, and then teach on a university level,” Wakamoto explained. “The Media Studies end of it is mostly for fun, (and for) convincing my parents that I won’t be a starving artist,” she added with a laugh. Falci doesn’t think the students should take the research lightly either. He hopes that students participating in his URAP project will acquire an amplified understanding of art and culture and that the examination of pop music as an artistic medium might allow them to broaden their perception of what constitutes literary work and analysis. And while drawing parallels between contemporary pop hits and Shakespeare’s sonnets doesn’t necessarily place them on the same plane of literary merit, it might expand the general understanding of music as an evolving art form. It might also help us grasp what it is about these songs that makes them so “catchy,” how they manage to bring listening audiences together and, ultimately, why we connect with them. Contact Paul Martin Martin at [email protected].